With an impending food shortage crisis, global warming and conflict, sustainability and innovation are a major challenge. 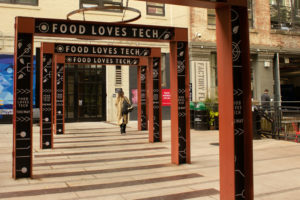 Food Loves Tech, now in its third year, is a beacon of inspiration bringing science, global activism and creativity into the food industry. Its mission is to push boundaries and challenge our senses. 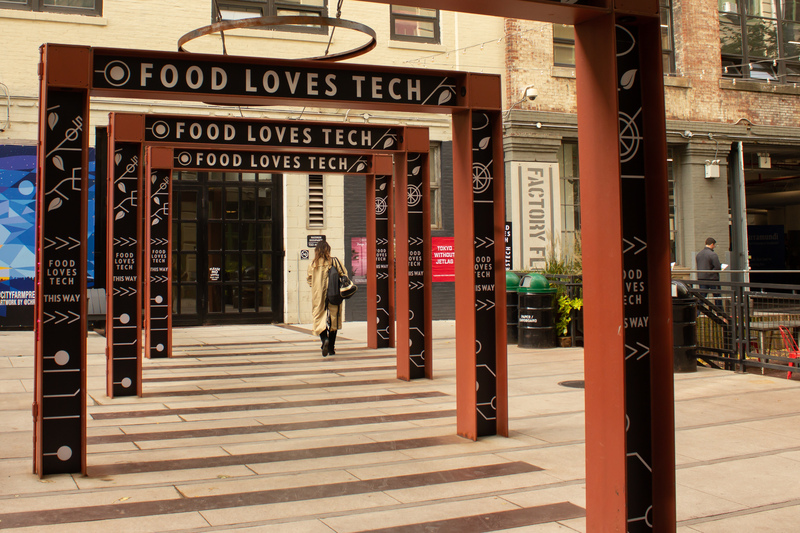 This year, Food Loves Tech came to Industry City, Brooklyn, one of New York’s booming neighborhoods. Vendors, chefs, farmers and innovators showcased everything from the sensible to the bizarre. From hydroponic gardens to crunchy insects, I found myself eating things I would have never tried before. 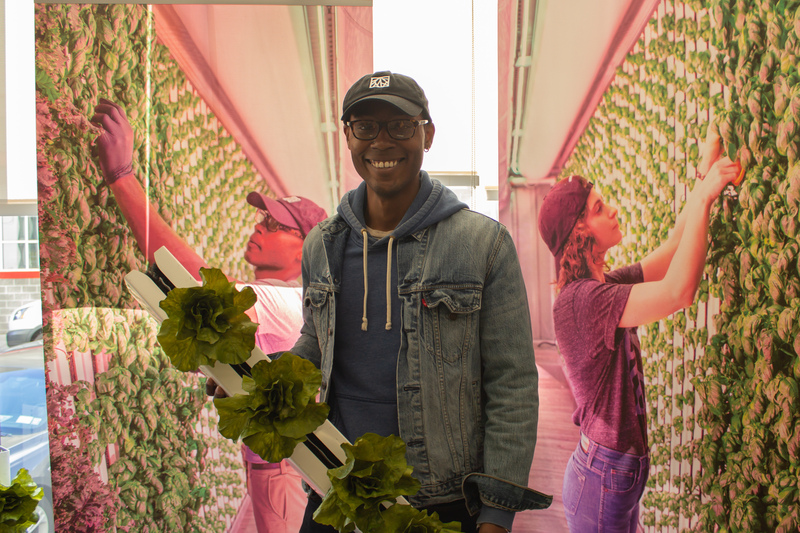 Jumping from booth to booth, I was particularly impressed by Square Roots – a Brooklyn-based urban farm that ingeniously uses less water and produces more. “Farmers are enough out there, but our goal is to educate more farmers to understand the good ways to produce the products, so we grow educated farmers,” the booth’s rep said. Square Roots offers farmers training to become sustainable and environmentally friendly. Through their educational program, farmers can learn to produce more crops, while wasting less. Other sustainable veggie growers included Whole Foods and local grocery supplier Gotham Greens, based in New York and Midwest Chicago, who greeted visitors with generous packs of vegetables to take home. On the subject of sustainability, perhaps no other food gets a worst rap than fish. Depleted stocks due to high demand, overfishing and climatic change all have contributed to declining fish populations. 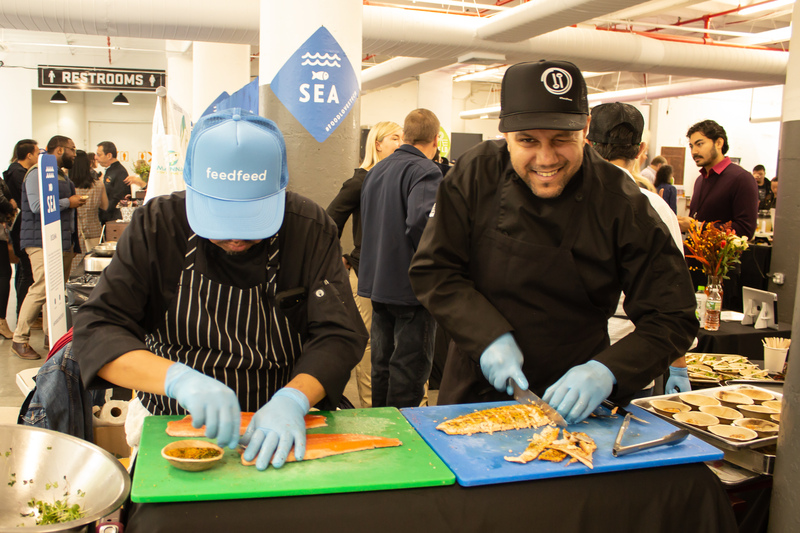 Although farmed fish like salmon is another alternative, it remains the scourge of fine dining restaurants whose chefs generally opt for the higher-quality wild. Organic salmon producer Manna Fish Farms is looking to change that with a variety of locally raised fish and shellfish off the Atlantic coast of Long Island. Using natural methods and healthy organic fish food, the salmon is of higher quality. 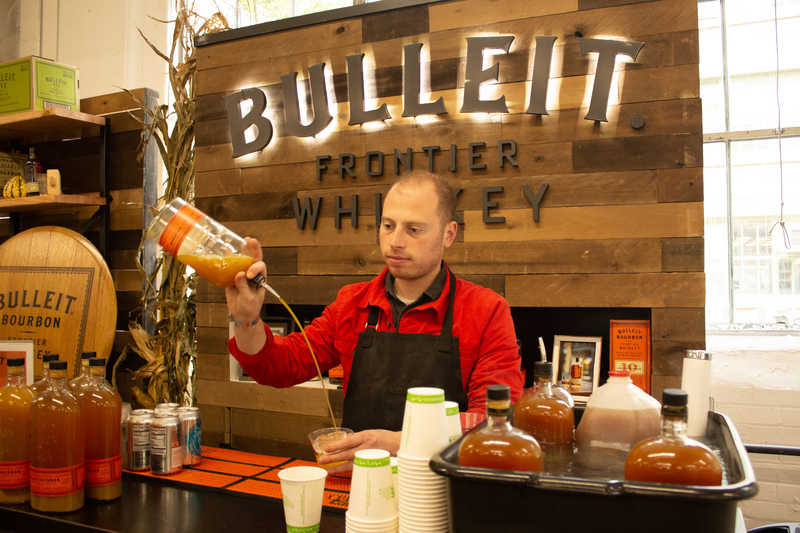 There was more than just farming at Food Loves Tech. My tastebuds were set on fire with some imaginative dishes from two of New York’s locally-sourced, eco-friendly restaurants. 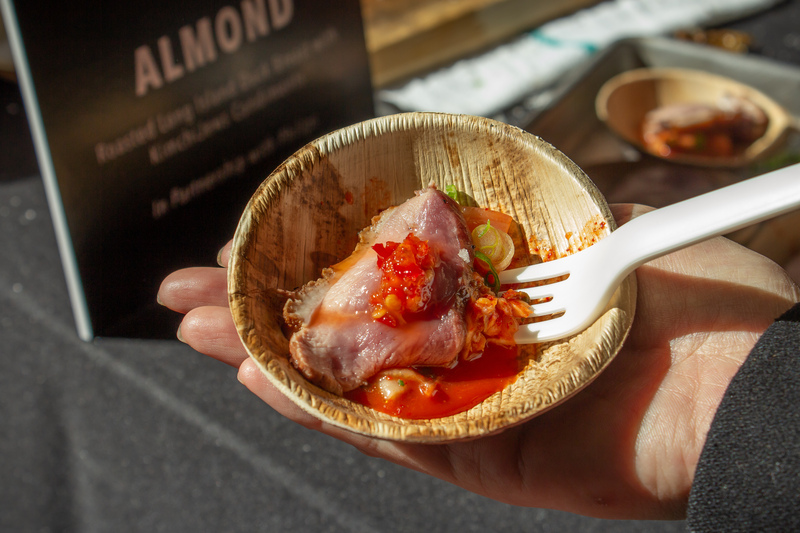 They included Union Square-based Almond ‘s roasted duck served on a bed spicy kimchi. And Danny Meyer’s locavore favorite Untitled dished out a delicious potato salad made from vegetables grown in its LED-lit planters. Now for the truly bizarre. Brooklyn Bugs really pushed the bar way out with scorpions and crickets, which I happily missed, but the cocktail shrimps seasoned with salty crunchy ants was surprisingly good. Definitely interesting, but would it end up on my dinner table? I can’t say. 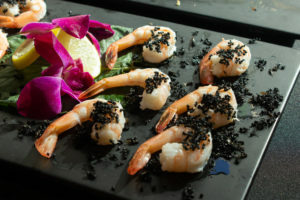 The sight of boiled shrimp covered with crispy black ants on anyone’s plate would be unsurprisingly off putting. How many times after eating shrimps and ants have you thought, “Gee I’m parched.”? There were plenty of beverages to choose from including Bulleit Frontier Whisky who has been making good old fashioned Kentucky Bourbon since the 1830s. Fans of classic stouts would love Long Island Blue Point Brewery, including the Good Reef Ale and an Imperial Stout, which was rare to see. On a sweeter note, Coombs Family Farm presented its spray canned maple syrup. This is an innovative product, but its environmental mission of preservation really impressed me. Rather than use the traditional metal tube for extracting maple sap, Coombs invented a soft plastic one that doesn’t damage the trees. The Food Loves Tech expo is rare treat to meet some country’s most innovative and ambitious individuals behind America’s new food revolution. While some ideas may have worked better than others, I left feeling pleasantly surprised with what I tasted. There is no doubt that these innovators are changing the way we look at food and helping our planet at the same time. Kei Hayashi reported for this article.